Creative Stitch Techniques and Inspiring Projects. 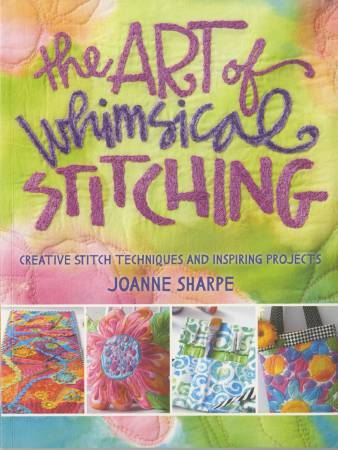 In The Art of Whimsical Stitching, bestselling author and teacher Joanne Sharpe shares her favorite, go-to methods for creating exuberant stitch art. If you're a sewer or quilter, you'll take your stitching in a new direction with paints, markers, and dyes. If you're a mixed-media artist, you'll learn to embellish your work with stitching. Follow step-by-step instructions and photos demonstrating a dozen inspiring techniques, including collage, stenciling, free-motion stitching, fused applique lettering, needle felting, doodle machine and hand embroidery, and more!